Full moons—whether they’re Supermoons or not—make great subjects to photograph, and its easier than ever to shoot the moon with the Nikon COOLPIX P900 and its built-in Moon Scene Mode. The COOLPIX P900 has an 83x optical zoom which means it’s the equivalent focal length of 2000mm. Use the camera’s Dynamic Fine Zoom, an enhanced digital zoom that effectively doubles the reach—to a 4000mm equivalent! Want to get even closer? Enable the digital zoom and you’re up to the equivalent of a 8000mm lens. 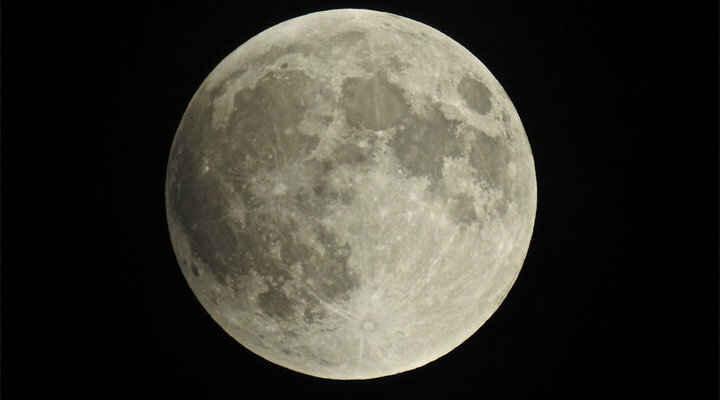 The P900’s Vibration Reduction image stabilization means you can handhold the camera as you zoom into the moon. The lens is so powerful that zooming the camera in all the way means part of the moon will get cropped out—so you actually have to zoom out a little bit to get the entire moon in your shot. The COOLPIX P900 features a Moon Scene Mode. Select it and the camera will optimize the settings, focusing at infinity, in the center of the frame. You may also want to use a tripod, and if you do, remember to set the VR to OFF in the setup menu. Don’t have a tripod? Brace yourself against a sturdy object or place the camera on a sturdy surface and use the Vari-angle LCD to compose the image. If you’re using any of the PSAM exposure modes, setting the camera’s exposure manually or use program or shutter or aperture priority, you may want to underexpose the image to ensure that the detail of the craters on the moon’s surface aren’t blown out. Using Spot metering will also help you get the correct exposure for the moon, which will be the brightest part of your image. Use a shutter speed of at least 1/15 second or faster since the moon actually moves pretty fast across the sky. If you lose sight of your subject while zoomed in, press the Snap-Back Zoom button for a quick zoomed-out view. Find your subject again and then release the button—the P900 will zoom right back in. What about the foreground landscape? There are a few ways that you can add the moon to another image for a more interesting composition. One of those techniques is by using the Multiple Exposure function that is incorporated into the COOLPIX P900. Another technique is to photograph the moon and the landscape as separate images and combine them together using an image-editing program. Use the same focal length that you shoot the landscape with, when you photograph the moon, for the most realistic look in the final composite. It also makes the actual compositing easier to do. If you’re using a wide-angle lens and the moon is a small element, it likely won’t cause the overall image to suffer if the moon is blown out with no visible details. COOLPIX P900 Zoom Test  Video showing the amazing 83x zoom range of the COOLPIX P900.